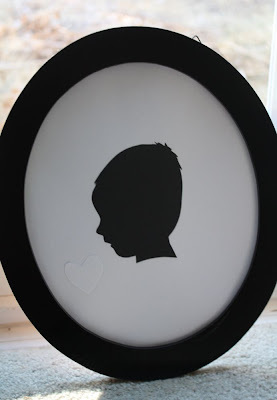 sadie’s silhouette needed some updating (last time i made her one was when she was tiny! and bald.) you’ve seen these all over, right? well, here’s the way i like to do them. simple and easy and quick. 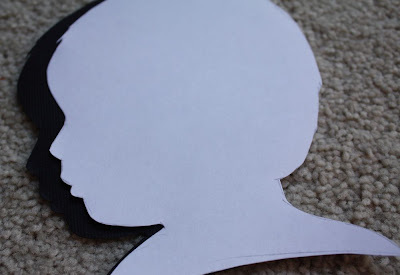 first, take a picture of the person’s profile. 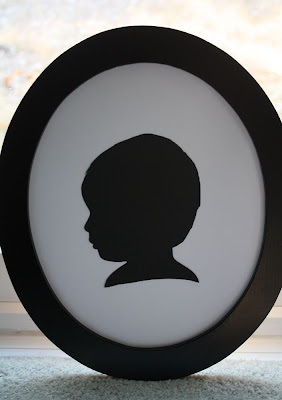 (or your pet-even a favorite piece of furniture would look cool) then, print it out to the size you want. 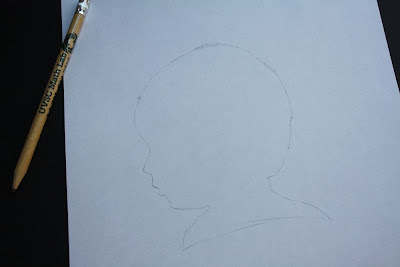 trace the outline on the white paper (holding it up to a window works great) around the head and shoulders, make sure to get little hairs, etc. this makes it look awesome. 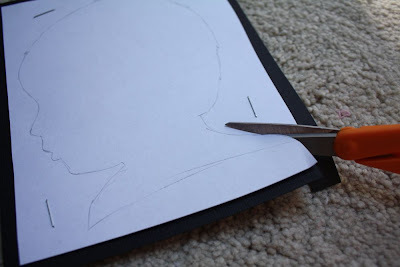 staple your tracing to the black paper. 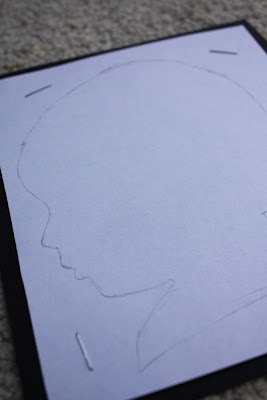 then, carefully cut around your trace, catching all the little hairs and details. then pop it into your frame of choice. soo cute, huh? this is sadie’s old one. aww my little conehead. for reals! thank goodness her head looks normal now. Thanks for the idea! I’m thinking it could be fun Christmas gifts for the parents of my students. Hmmmmmmm. Thank you! I just did ones of my little girl and my dog. They turned out GREAT! Thinking of doing all the grandkids for my parents for Christmas. Super easy! Revisando tu blog para guardar la dirección como muy intresante por los tutoriales tan bien explicados. Gracias. Where did you get your black oval frame? I’m on the hunt for a bunch of them so I can do this with my moms group. I think these look best in a round frame.